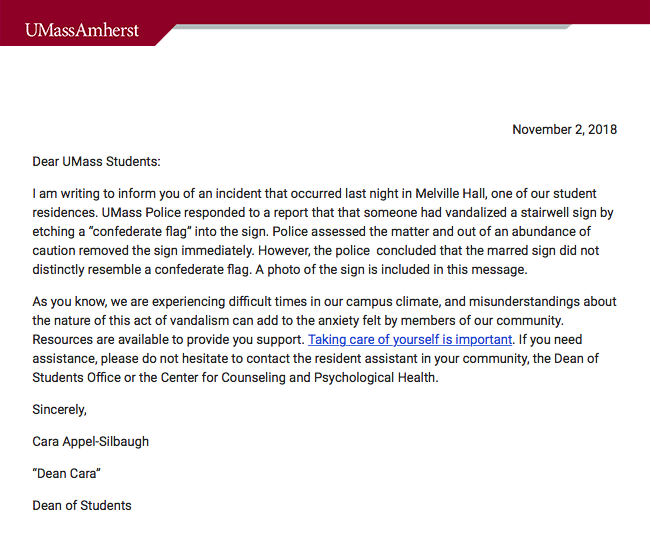 A faintly visible etching resembling the Confederate battle flag was found on UMass Amherst’s campus last week. The incident prompted a call to school police, who reportedly removed the offending graffiti, and the dean of students issued a statement to the student body. 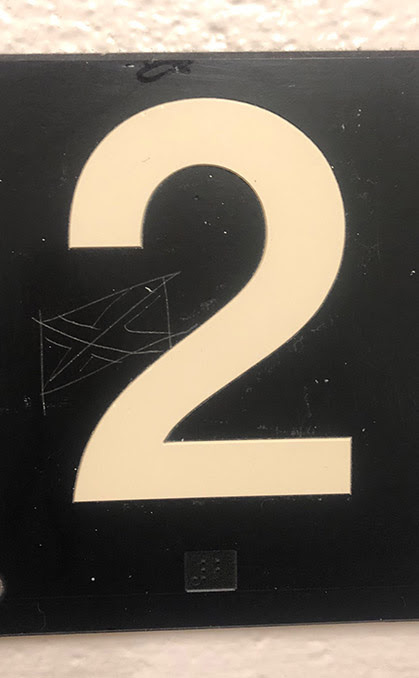 Attached to the email was a photo of the infamous stairwell sign, on which can be seen a makeshift depiction of what could possibly be a Confederate flag. It also resembled the “Union Jack” flag of the U.K.
Anxiety-ridden students were encouraged to reach out to campus counseling services if necessary. The university did not respond to The Daily Caller’s request for comment.